Training and skills campaign group The 5% Club hosted a conference in Rosyth today to raise awareness of the value of embedding ‘earn and learn’ training opportunities into an organisation. The 5% Club was set up five years ago by Leo Quinn, group chief executive of Balfour Beatty, to encourage employers to offer as many ‘earn and learn’ training opportunities as possible. It now has more than 340 employer-members, representing businesses across many sectors and sizes, who all aspire to having 5% of their workforce undertaking ‘earn and learn’ training, including apprenticeships, graduate training or sponsored student schemes. A total of 50 business leaders attended the conference today, in association with Babcock International, a patron supporter of The 5% Club. According to The 5% Club, embedding an ‘earn and learn’ ethos into an organisation is critical. A recent survey of employer-members of The 5% Club found nearly nine out of ten businesses say that ‘earn and learn’ training opportunities drive staff loyalty and retention while eight out of ten believe ‘earn and learn’ training opportunities provide opportunities for people who would not usually be able to access them. furthermore, 78% of businesses strongly believe that ‘earn and learn’ training opportunities are vital for addressing future changes in the workplace, (such as AI, an ageing population and continuing skills crisis) and are imperative for UK businesses if they are to successfully compete in a global market. Lady Cobham CBE, director general of The 5% Club, who spoke to businesses at today’s conference, said: “We are delighted to have welcomed so many business leaders from across Scotland today. It is incredibly encouraging to see companies interested and committed to learning about, and offering, as many training opportunities as possible. “Embedding an ‘earn and learn’ ethos into any organisation is vital. Not only does it provide employees with skills for life, it also opens up opportunities to people from different backgrounds who may otherwise not have access to further education and lifelong careers. Steven Turnbull, senior engagement manager at the Scottish Government, who spoke today about the benefits of having young people in the workforce, said: “Today’s workforce is more varied than it has ever been and it is our responsibility to make sure that training and employment opportunities are accessible and attractive to everyone across Scotland. 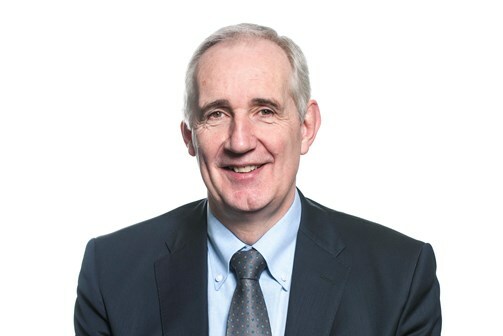 Hector MacAulay, Balfour Beatty managing director for Scotland, added: “At Balfour Beatty, we are acutely aware of our industry’s skills shortage. We must take action if we are to deliver the significant pipeline of major infrastructure projects to which the UK is committed. “As a member of The 5% Club, we have recruited numerous apprentices, graduates and trainees in Scotland this year alone, and have witnessed first-hand how ‘earn and learn’ training opportunities can help us achieve our aim of recruiting a new generation of construction professionals. GRAHAM apprentice Shams Rahimi, recent winner of CITB’s ‘Scotland Apprentice of the Year’ and ‘Scotland South Apprentice of the Year’ awards, said: “Being part of an apprenticeship scheme has led to life-changing opportunities which I couldn’t have accessed through other routes to employment.